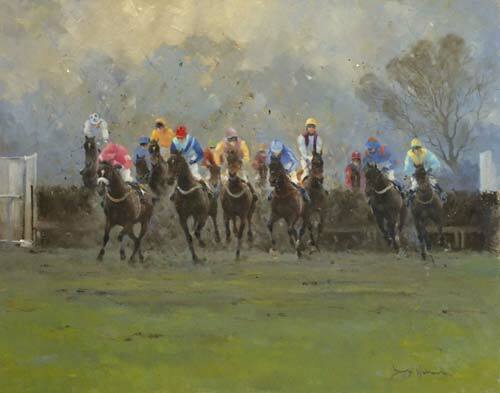 David Howell paints in watercolour, oils and pastels and his output includes landscape and marine, equestrian related to racing, shooting pictures, life work and anything else that takes his fancy. David firmly believes that irrespective of the subject the only thing that really matters is the quality of the painting. He travels widely and lived and worked for many years in the Middle East where he had considerable success through the sale of paintings of the region, prints and a book featuring Jeddah, entitled ‘City of the Red Sea‘. On his return to this country he lived in the Hambleton Hills area of North Yorkshire where the proximity of race tracks and training areas encouraged his interest in equestrian subjects. Later there followed a move to the south west where he found inspiration in the landscape of Devon and Somerset as well as the picturesque coast of Devon & Cornwall. 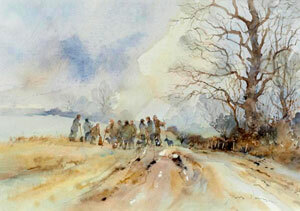 To a plein-air painter the southern climate provided an easy contrast to cold North Yorkshire winters, yet in spite of this David has once again settled in Yorkshire. Each print is one of a limited edition of 750, numbered and signed by the artist. DAVID HOWELL'S NEW DVD is now available. David's work is very much in demand and despite threatening to ease up a little he still works 7 days a week. He has had over 20 one-man shows in various parts of the world and he has consistently been involved in group exhibitions in London and elsewhere over the last 30 years or so. 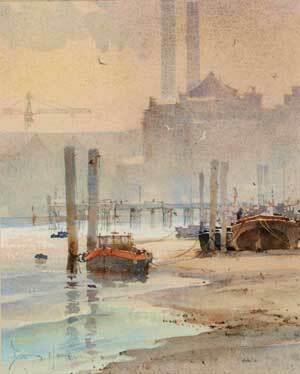 He has enjoyed considerable success at the Watercolour Fair at Royal Academy in London and exhibits overseas in the USA, Dubai, Holland and Melbourne Australia. 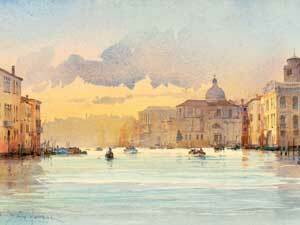 His work hangs in collections worldwide ranging from royal palaces in the Middle East to London boardrooms. 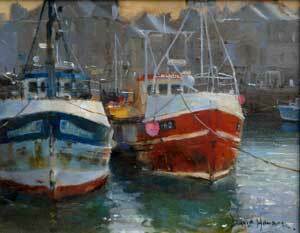 In 2009 he became President of the Royal Society of Marine Artists.